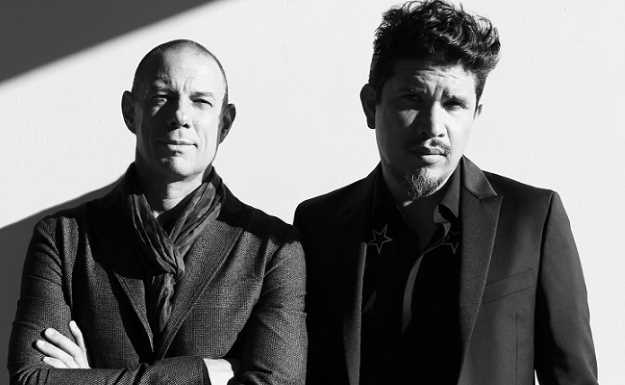 Thievery Corporation: (from left) Eric Hilton & Rob Garza. If you’ve experienced Thievery Corporation over the last few years, chances are it has been in a live setting with a full band, rather than a gig with either of its members DJing. This was the case on Thievery Corporation’s latest album, The Temple of I & I [ESL Music], which got its start in Montserrat House, their D.C. studio, with these sketches. Then the project moved to GeeJam Studios in Port Antonio, Jamaica, for 10 days to record the rhythm section before returning to D.C. for completion, which took the better part of a year. As might be expected, The Temple of I & I has a decidedly dub-reggae feel to it, primarily inspired by GeeJam’s beautiful, exotic location. But it’s also because Hilton and Garza have been moving toward tighter musical-genre concepts on their recent albums, rather than the mixture of world sounds of their earlier works. Avid’s Pro Tools is the recording platform of choice with Native Instruments’ Maschine sometimes used to edit beats and loops. At home, Hilton and Garza have a plethora of vintage keyboards, including a Wurlitzer, a clavinet, Lowrey organs, plus a Leslie amp cabinet. At GeeJam, which is one small L-shaped room, Conti had the drums tucked at one end with a little bit of space for room miking, recording the musicians separately. They worked from the aforementioned sketches, which were essentially rough demos. With limited time, the days at GeeJam ran 12- to 13-hours long, providing a more difficult, if scenic environment.